The overall design of a lap steel guitar is very similar to the design of a standard acoustic guitar, meaning that there are a fretboard and six strings that come attached to this guitar. However, the strings on a lap steel guitar face upwards and are raised towards the musicians. With a lap steel guitar, the strings on the instrument don’t come into contact with the fretboard. This because of the raised bridge and nut. This means that the frets are only on the guitar to help musicians have an easier time placing their hands. Positioning for a lap steel guitar differs based on the musicians’ personal preferences. You can play lap steel guitars on your lap. Additionally, other musicians have a stand that is special for their guitars. Lap steel guitars come in acoustic, electric, and resonator models. 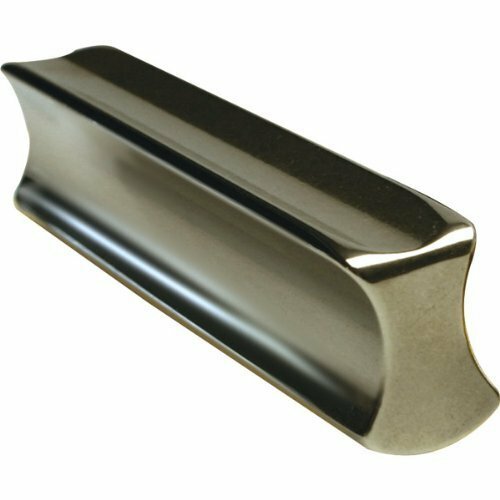 This provides users with a large variety in the selection of their instruments. Where things start to change up is the manner musicians play their lap steel guitars. Instead of using a pick or their fingers to strum a guitar, lap steel guitarists user a bar or a slide on the strings. One of the essential tips to successfully playing the lap steel guitar is having high-quality strings. Having strings that are of good quality is vital to creating versatile sound with your lap steel guitar. Playing with good strings on a standard acoustic guitar is important. Invest in strings that are durable. This will allow you to play around with different tunings and techniques for your guitar. While your first impression of this instrument may be that the overall shape of the lap steel is odd, Peavey ergonomically designed this guitar to allow the musician to play it either horizontally or vertically. The Power Slide Robert Randolph Signature has a slotted headstock that comes pairs with two vertical tuners. It has a two-octave neck and a variable coil humbucking pickup. The Recording King RG-31 is a lap steel guitar. It is known for being one of the sturdiest lap steel guitars on the market today. This lap steel guitar is comprised of a solid mahogany body, Pearloid fingerboard, two-octave fingerboard markets, vintage style button tuners, and an alnico P-90 pickup. This lap steel guitar provides musicians with an outstanding sound for an affordable price tag for an instrument. This without needing a lot of troublesome maintenance. The Gold Tone LM Weissenborn Acoustic Slide comes installed with a hollow square neck, rope binding, 18 frets, an ebony bridge, a high gloss mahogany body, and Kluson style tuners. 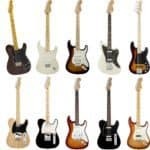 Gold Tone manufacturer is well known for following strictly along with tradition and warns it’s users that the LM Weissenborn should only be tuned to open G or open D or any other tunings that do not exceed 165 pounds at A440 pitch. Vorson isn’t a very well-known brand, but the SL100ENAT is a very well made lap steel guitar. 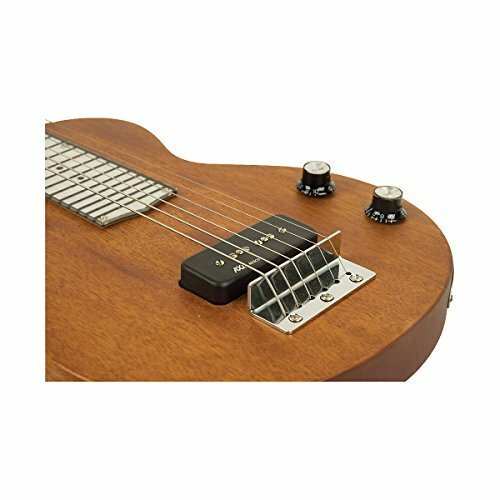 The Vorson SL100E is comprised of a solid mahogany body, an open headstock, rosewood fretboard, two FP-90 pickups, and a three-way pickup switch. The pickups installed on this lap steel guitar provide the guitar with a clear, bright sound. 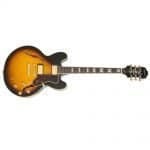 Even if you aren’t someone who is active in the music industry, chances are you’ve heard of Epiphone. Epiphone is a brand that produces a whole variety of guitars at different playability levels and price tags. The Electar by Epiphone has a mahogany body with a Plexiglas fingerboard. It is decorated with Art Deco designs, comes with 28 frets, an aluminum nut, an aluminum tailpiece, and a 500B bladed humbucking pickup. 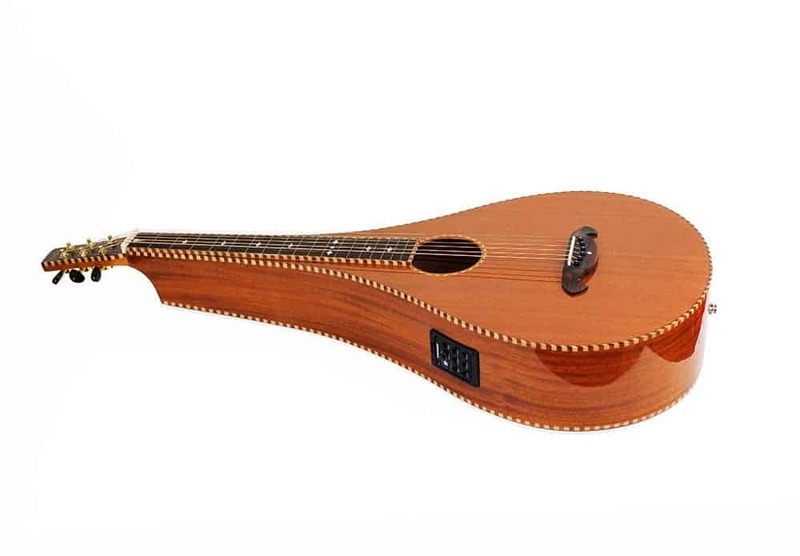 The Imperial Royal Hawaiian Teardrop guitar doesn’t have that familiar guitar shape that we all know but has more of hybrid shape between a bouzouki and a lute. The Royal Hawaiian Teardrop has a hollow neck paired with a deep body that helps to create an incredibly large acoustic resonance, paired with gold-plated violin tuners, a rosewood bridge, rosewood fingerboard, pearl-diamond shaped markets, and Weissenborn rope binding. This lap steel guitar comes with a Fishman pickup, as well as a Presys preamp that allows for amplified playing. Considering buying a new or used lap steel guitar whether you’re a beginner or an experienced lap steel musicians can be a big decision to make. A vintage lap steel guitar can provide you with a rich, robust sound but can cause several problems if you don’t end up giving your instrument a thorough look over before purchasing. Vintage models are more likely to break if you don’t take proper care. This means that you’re going to have to shell out a decent amount of money when the time for replacing parts comes. Generally, a used or vintage model is going to require a lot more maintenance than a new guitar does. If you’re a new lap steel musician, I would highly recommend that you look into buying a new lap steel guitar. Playing lap steel guitar can be tricky and challenging, so by starting yourself off with an instrument with minimal flaws, you’re looking to have an easier time learning. A new lap steel guitar is going to be a lot easier to use, and you’re not going to have to worry about compromising your sound quality. In the end, you’re going to have to test and pick the best lap steel guitar that fits your expectations. Finding a lap steel guitar can be difficult. This is because they aren’t extremely popular. In fact, there are still several options for you to choose regarding pricing and quality levels. When the time comes for looking at different models, make sure that you think about what model would work the best for you and your personal needs. Have fun on your lap steel guitar journey!